A Non-Invasive, Non-Surgical Treatment Designed To Treat Herniated Discs And Severe Back And Leg Pain Has Been Used By Professional Athletes In The National Football League, Major League Baseball League And The Professional Golf Association! We want to take a minute to explain to the back and disc pain sufferer that it may be possible for you to feel “normal” again. Imagine how your life would instantly change if you discovered a possible solution to your back pain. In this article you’ll discover a potential solution for your pain. Only if you are serious about eradicating your severe back pain should you read any further because there is treatment that your doctor may not even know about that is noninvasive, painless and has been designed to treat severe low back and leg pain along with herniated discs. At first I was skeptical about their treatments. Having suffered from a herniated disc, I took my doctors advice to receive epidurals to relieve my pain. After two of these treatments, I was still in considerable pain. I had read an article in the paper and I found this to be not only the last alternative, but to my surprise, it was the best. The treatments and services that I have received were outstanding, and nothing short of miraculous. I no longer have to live in pain. I’m able to climb stairs normally, rather than taking baby steps. I would highly recommend anyone who has suffered like myself. How Does the Back GET Damaged? Imagine your spine as a bunch of blocks stacked on top of each other. In between each block is a disc. Discs are sort of like jelly donuts. When a disc is injured or torn, the jellylike substance on the inside can leak out. This is a called a herniated disc. If the outer discs are not torn, discs can bulge– without herniation. It’s like if you step on a balloon and it doesn’t pop. 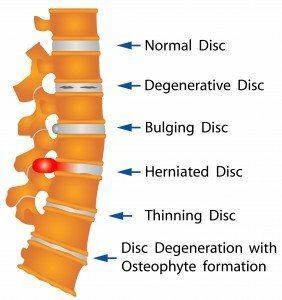 When a disc bulges and herniates it is a major source of back pain. It can also pinch the delicate nerves that pass by as they come out of the spine. That’s what can cause pain in the back, down the leg or numbness and tingling down the leg and into the toes. Sciatica, herniated and/or bulging discs, degenerative discs, a relapse or failure following surgery have all seen results with our treatments. My life was being affected by my condition. I nearly could not work and I was not able to drive my car for several weeks. Since starting care I have had significant improvement. I experienced no side effects after my treatments. I no longer have a burning sensation down my left leg. My life has changed. I can walk up and down stairs easier and my gait has gotten much better. We Offer An Extremely Comprehensive Approach to Help the Back and Leg Pain Sufferer – Offering a New Wave of Hope! I was having a difficult time bending, twisting & lifting anything at all. Working as a corrections officer in prison I was fearful that if anything did go down I would not be able to handle it & would lose my job or my make my pain worse. I was having such a hard time getting comfortable sitting or standing. I could not even pick up my daughter because the pain was so bad! After a few sessions that all changed. In a few short weeks I was totally fixed. I am more active then I have ever been. I am back to running again. I got my life back! When you make an appointment, we’ll perform a thorough consultation to determine if you are candidate for the technologies utilized at our office. If we don’t think we can help we will steer you in the right direction so that you can get the appropriate care you need. 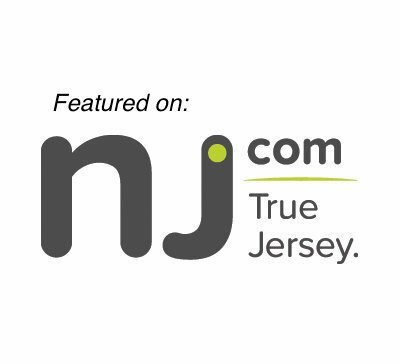 Contact our Shrewsbury, Freehold, Wall, or Lacey NJ Treatment Center Today for a Free Consultation!